Last night the weather suddenly turned into a full on symphony as I made a dash from the train to the taxi rank; all at once rain started lashing, wind howling, lightning sheeting, thunder cracking, reaching a crescendo of hailstones crashing on the ground. It really was a case of elephants and lions rather than cats and dogs. I sank into the backseat of a taxi thankful I did not have to wait. The inclement weather was mercifully silenced and shut out by the slam of my door. Within seconds my nostrils were filled with a distinctive smell of almonds that turned to marzipan. Before I knew it, I was being transported back to childhood memories of eating Christmas cake. I sniffed again and tried hard to think of cherries and sure enough I began to detect some different notes. “Yes, it is cherries like you taste in Dr Pepper!” I chirped. We then got into a very animated conversation about the difference between men and women’s ability to smell. He reckoned that 9.5 out of 10 women say it smells like almonds while 9 out of 10 men say it is like chocolate. 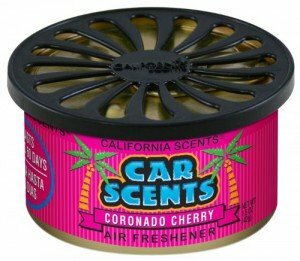 His sample is based on the 10-20 customers he picks up a day over the last 3 years he has been buying his tubs of California Coronado Cherry. What is more, he doesn’t ask them directly, but just waits for them to say something about what they can smell. Just like with me that sets him off. What a wonderful icebreaker I mused. But not only that, it is a lot of data collected ‘in the wild’ that shows a massive gender difference. I had no idea we were so different in our ability to identify smells. Whether women are better is another matter since we all seem to think his car smells more almond than cherry. When I bought my Scirocco a couple of years ago, it had that horrible new car smell of plastic and rubber. It never seemed to fade, so I caved in and went to Halfords in search of a car freshener to mask it. 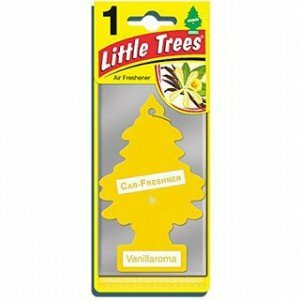 I was amazed to discover just how many different kinds of exotic trees, sticks, sprays, and tubs of super smelly gunk there are now to fill our cars with fragrance. Seems the marketing departments have gone overboard with Tropicana scents that conjure up drinking cocktails on a beach. All of them had exotic sounding names with the likes of “Jelly bean Margarita”, “Bahama Aruba Blue Breeze” and “Bahama Waikiki Wild Hibiscus Vent Sticks.” I bought a stick that promised the taste of Pina Colada – coconuts and pineapple. After taking the wrapper off, however, it smelt more like the Costa del Sol than fresh fruits. It was awful. 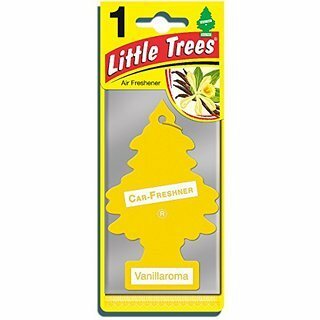 I had to throw it out and keep the car windows open for a couple of weeks to get rid of the new smell. As we neared home, my taxi driver regaled how he has met women who could even name the make and brand of perfume others are wearing. What must it be like to be a super smeller?